why doordarshan shimla is not comes on Free DTH. 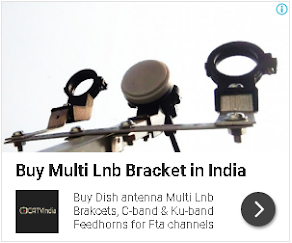 which is the size and depth of dish antenna are covered by GSAT-10,GSAT-15 and other satellite FTA C-band and KU-band both tv channel recieve in dish antenna? what are the best receiver choose in combination in T-2 and s-2 both channel are receive and elevation angle of dish? state-Maharastra dist-Jalgoan city-Faizpur please help me respective sir.